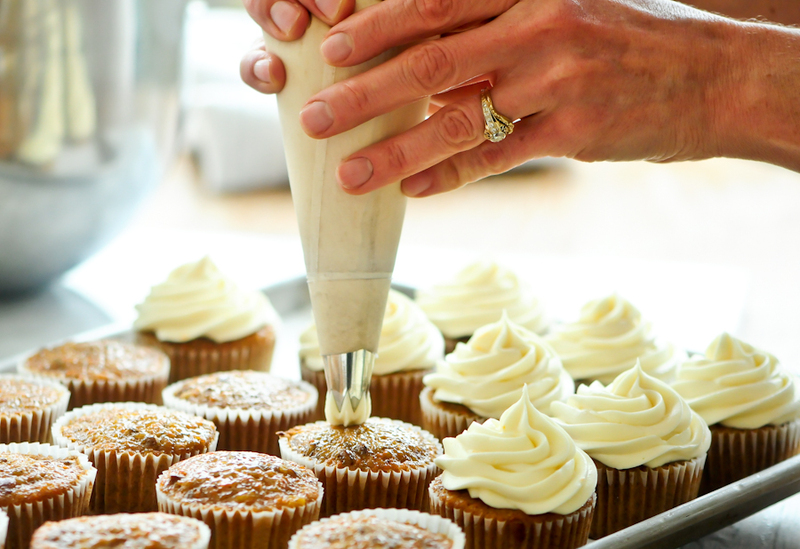 Best selling author, pastry chef and food blogger, Zoë Françios, works out of her southwest Minneapolis home, creating mouth-watering recipes for breads, treats and all things pastry. 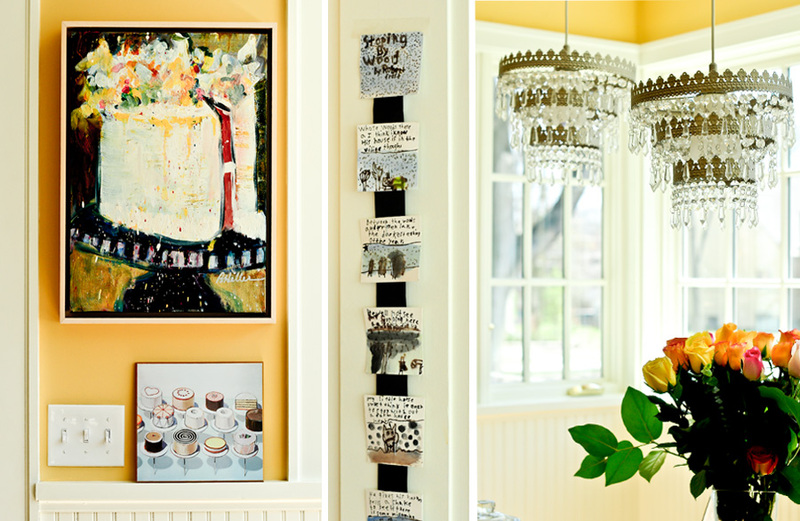 Entering into Zoë François creative domain (her kitchen) is akin to walking into a beautifully frosted layer cake, white with lemon filling. The walls are adorned with pastry themed art and even her chandeliers look like upside down cakes. It is a little piece of artistic heaven where ideas are born, and sent off into the world to become best sellers. Her first book, “Artisan Breads in Five Minutes a Day”, has become to home bakers what the “Joy of Cooking” is to home cooks. The story of it’s success reads like a fairytale. Zoë met her co-author, Jeff Hertzberg, in 2000, when their children were in a music class together. Jeff had developed a recipe for bread that only took 5 minutes to throw together and enabled people to bake perfect bread with almost no effort, something unheard of in the bread world. Jeff called in to Lynne Rossetto Kasper’s show, The Splendid Table, asking how to publish a book based on the recipe. An editor (I kid you not) who was listening to the show at the time, loved the idea and contacted Jeff asking him to submit a proposal. That was almost the end of the story until Jeff met Zoë. Jeff had no idea how to write a cookbook, Zoë agreed to co-author and a few years later, “Artisan Breads in Five Minutes a Day” is a best selling cookbook with close to 500,000 copies sold. Zoë embodies the dream of turning your passion into your profession. Years ago, while working in marketing, her husband noted that she was developing a unique way to deal with a job that was trying. She would come home and bake her stress away. Baking relaxed her and made her happy. Encouraged by his support and a desire for more formal training, Zoë headed to New York and studied pastry at the CIA (Culinary Institute of America) in New York. Coffee, cream, a lens and a manuscript. The perfect representation of a day at work in the kitchen. Happiness followed Zoë home from New York. Her passion, creativity and ability to produce perfect, delicious desserts and pastries, quickly established her as a well known pastry chef in the Twin Cities. One bite of her confections will send you into a sweet heaven. The crumb is perfect, the frostings like velvet. She continued on this path until motherhood inspired her to change direction and focus more on a home centered base for her creativity. Zoë is currently working on quite a few different projects. 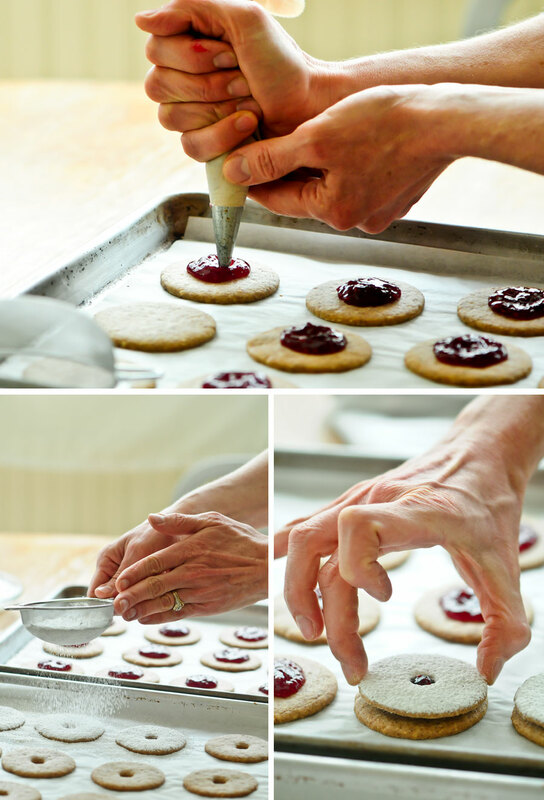 Her blog, Zoë Bakes, is a favorite for home bakers and her “Artisan Breads in Five Minutes a Day” followers. She posts her delicious recipes along with clear instructions and beautiful photos. Recently she has started writing for the Cooking Channel’s blog, where she creates unique recipes and photographs them for their readers. 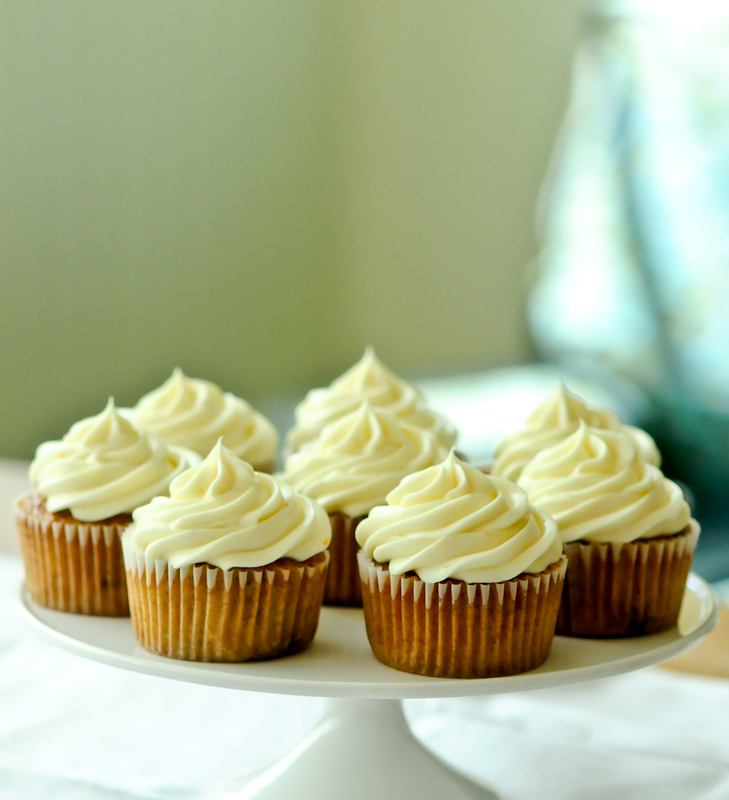 She will be posting the recipes for these Lindzer Cookies and her Carrot Cake Cupcakes soon. After publishing “Artisan Breads in Five Minutes”, Zoë and Jeff followed up with their second book, “Healthy Artisan Breads in Five Minutes a Day”. 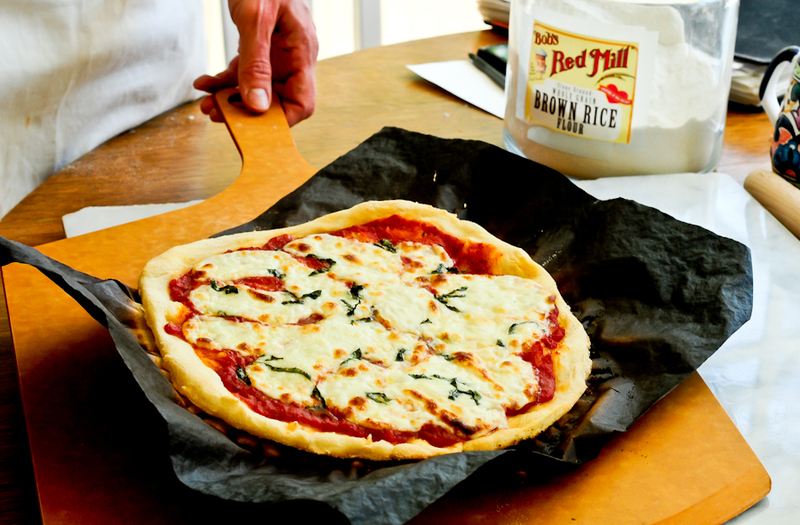 On the day I was there shooting, Zoë was testing and putting the final touches on recipes for their third book, “Artisan Pizza and Flat Breads in Five Minutes a Day”, due for release this fall. Zoë and her family spent a month last summer touring Italy, Turkey and Greece, known pizza and flat bread cultures. 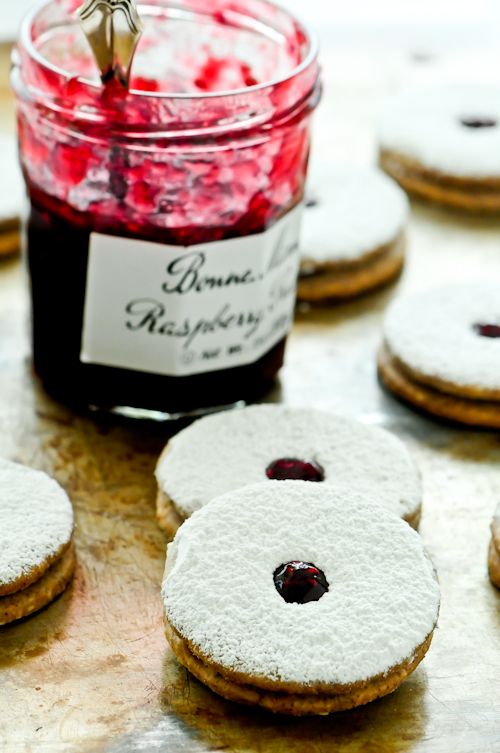 They tasted everything they could for inspiration and authenticity. You would think that would be enough to keep Zoë busy. But when you are as passionate as Zoë is about her craft, it is hard to say no to a great creative endeavor. When Steven Brown recently approached her to make the dessert recipes for his new restaurant, Tilia, she gladly accepted. Zoë credits Steven, along with Andrew Zimmern as being the two people who taught her the most about food. 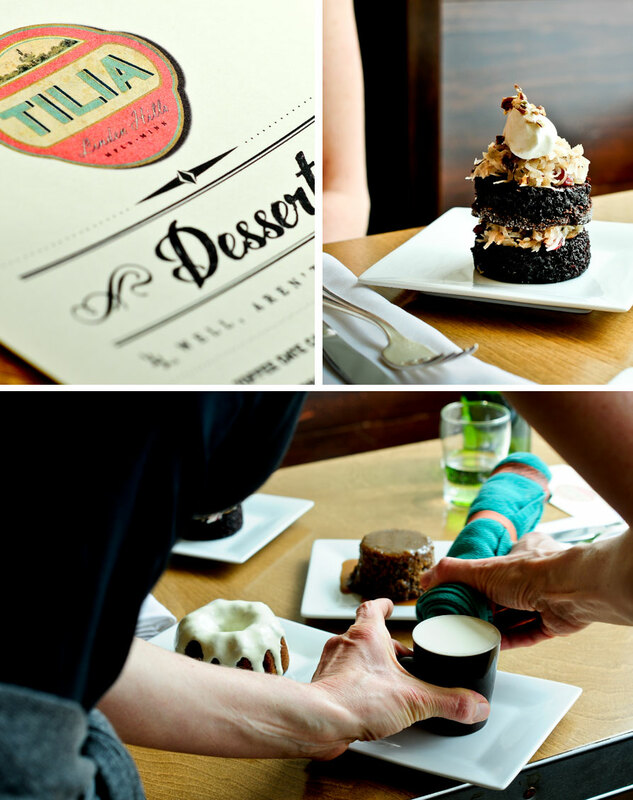 Zoë’s desserts for Tilia needed to pair well with the amazing beer list that they have. A fun challenge that she met beautifully. When we visited the restaurant, one of the desserts was delivered to the table, not quite up to Zoe’s standards. She quickly jumped up, grabbed a towel and perfected the presentation. That is passion, that is love. 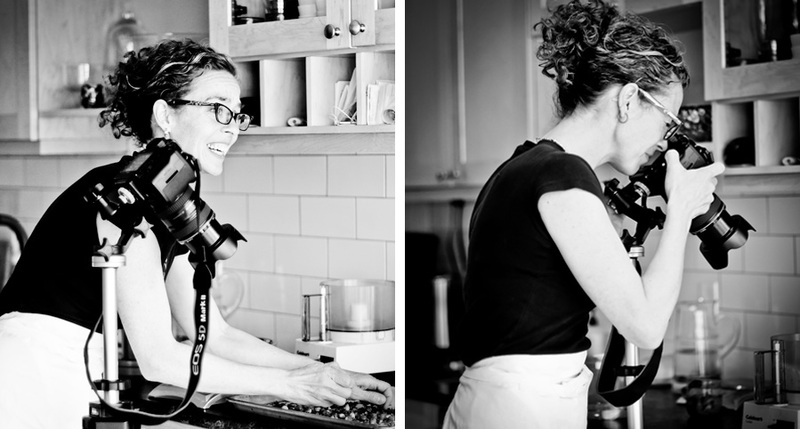 Zoë François is truly one of our Culinary Treasures. 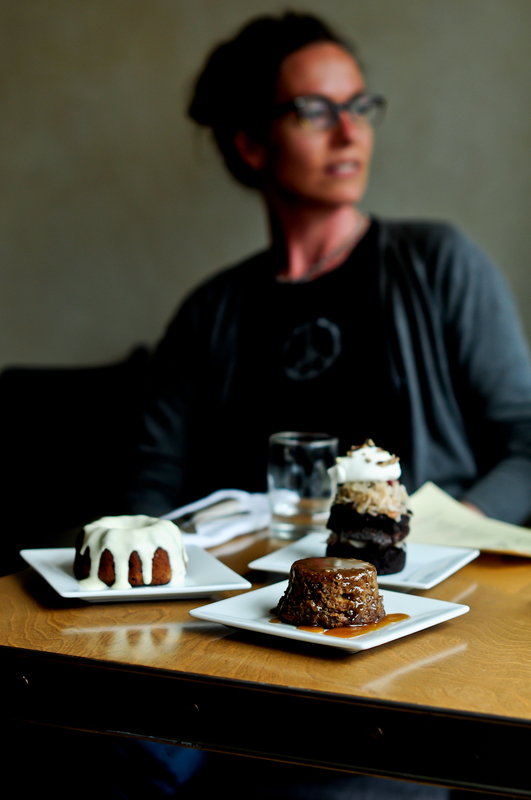 Her desserts are currently being featured at Tilia. What an inspirational lady! I admire that she made a life out of doing exactly what she loves to do. Very excited to meet her. Great post ladies — pictures and content are stellar. I love Zoë, not only her books, but her real, honest way of writing and her gorgeous presentation. So happy you chose to feature her! She is so beautiful. I love her blog and her photos. Zoe’s book was the beginning of my love affair with baking. 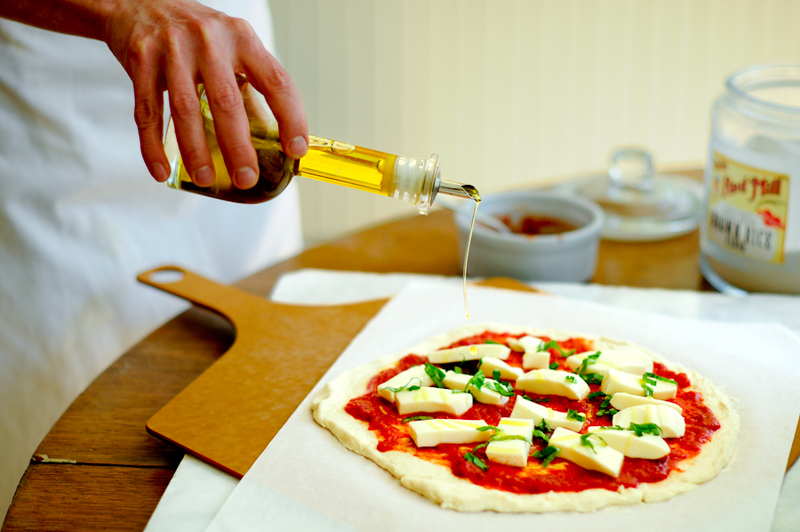 This evening, as a matter of fact, we had a home made pizza using her Olive Oil dough, a favorite at our house. She has created a beautiful dessert menu for Tilia, and I am happily making my way through it. So far the German chocolate cupcakes get a big thumbs up. Your photos are unbelievable! What an amazing talent. Was so great to see more of Zoe and her awesome creations here, in such beautiful pictures! She is so talented and such a wonderful, warm person! Definitely a treasure indeed! Your photography is quit amazing, btw. You really catch the emotion and feeling. Love it! Zoe is extremely talented. 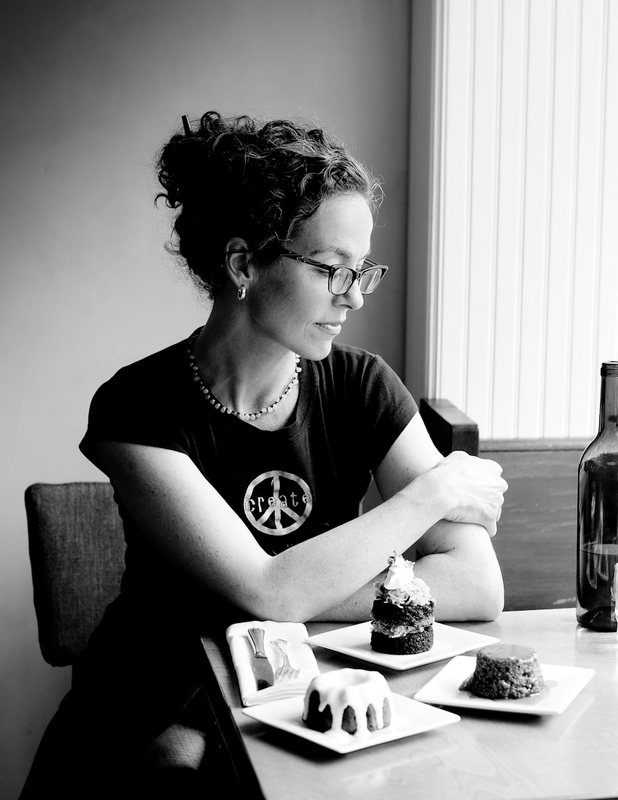 Her book, Artisan Breads in 5 minutes has been on the NT Times Best Seller list and is currently on the Wall Street Journal’s site for being in the top 10 cookbooks in the US. That comes with hours and hours of intense work and a tremendous amount of passion. She brings an amazing level of excellence to her work. 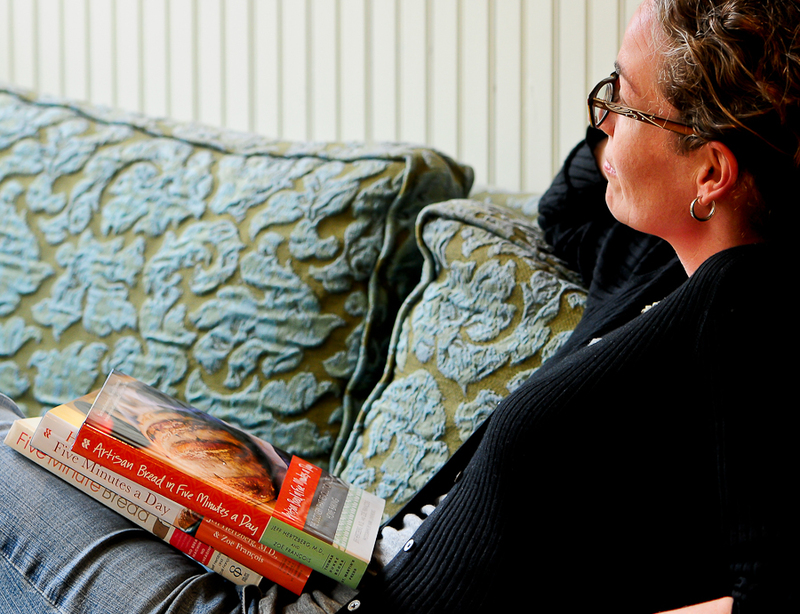 It is not an easy feat to have one of the top 10 best selling cookbooks. Wow! Great story, great photography and great subject! I’ve been always been crazy about Zoe and now I’m crazy about you too! Your food photography is stunning. Always inspired when I pop in for a quick visit! I live in Ireland, relocated from Mpls…your posts also make me miss home. I love Zoe and am so glad you decided to capture some of her story for this beautiful post!